Nice Plant, no Tomatoes? 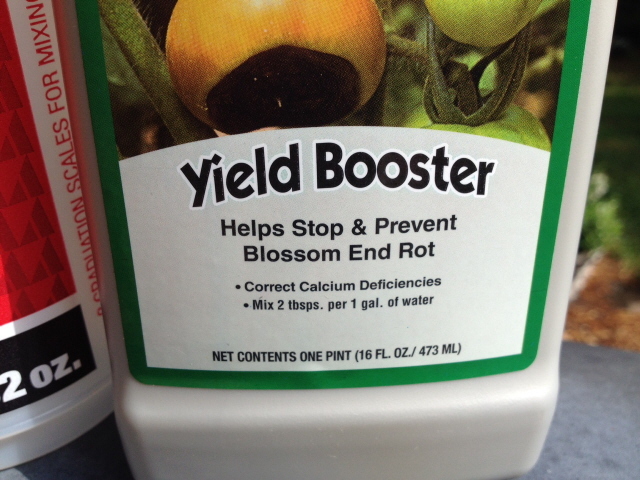 Cure or Prevent Blossom End Rot. – Johntheplantman's stories, musings, and gardening. 2 Comments on Nice Plant, no Tomatoes? Cure or Prevent Blossom End Rot. 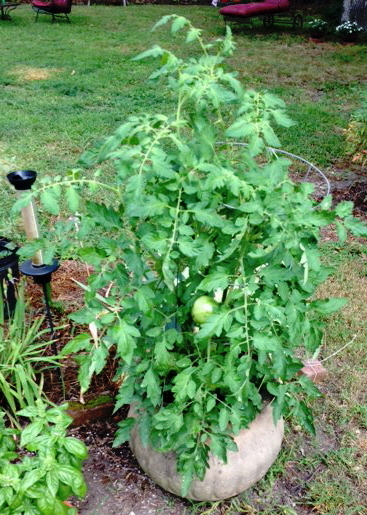 Healthy looking tomato plant not producing many tomatoes? The main ingredient is calcium. The product label says it has 10% calcium derived from calcium chloride. As with most chemicals, brand names don’t matter, read the contents on the label. Here is a close up of the label. Mix the product at a rate of 2 tablespoons per gallon. Apply it in the morning while it is still cool. Spray the foliage and particularly the flowers of the plant(s). Repeat the treatment once a week for three weeks. Make sure the plant is well watered and not stressed before application. 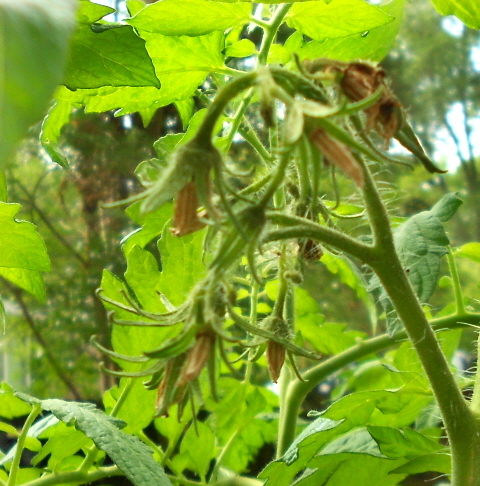 You will see a dramatic difference in tomato production. 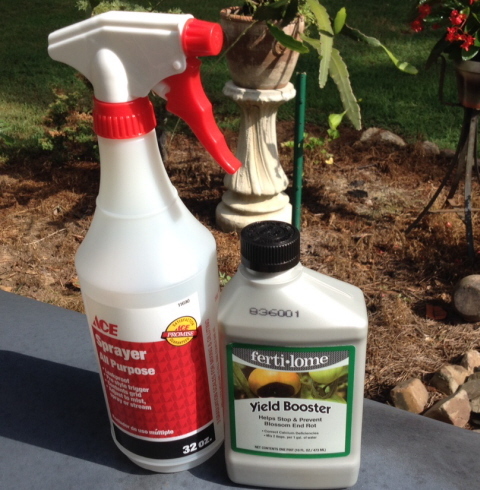 If you see the problem on your plants, get right on it. It won’t heal itself. John, Thank you so much for sharing your good information. I had no clue what caused tomatoes to wilt like that. HAPPY FATHER’S DAY and GrandFather’s Day. One has to be looking for something else to find real treasures. 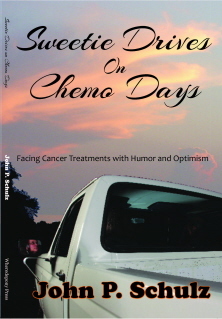 I was looking for Dr. Jack Runninger when I found your blog. It frightened me that it ended abruptly in the tomato vines, so I searched through until I found a Facebook link which I am now following. I noticed we have a mutual FB friend, Ms. Gilbert who is my imaginary friend, actually a friend of my cousin Barbara Knott.